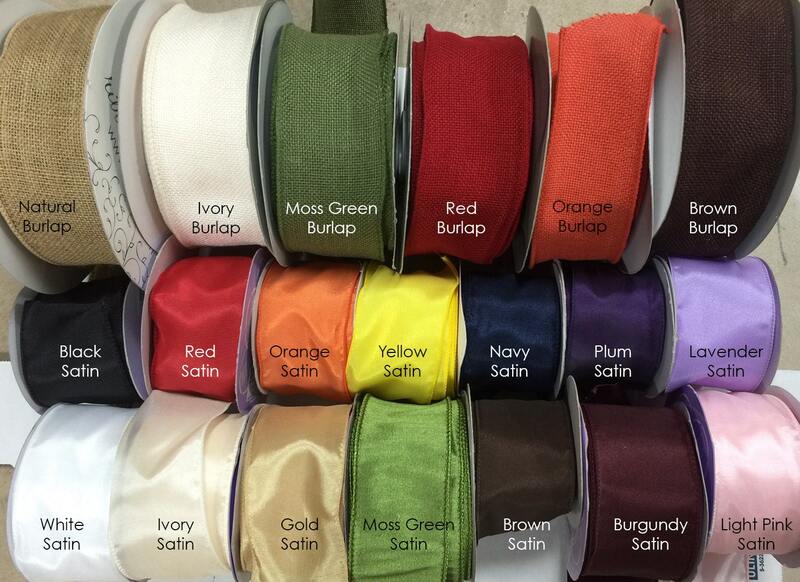 ***Please enter the ribbon choice in the comments section at checkout. 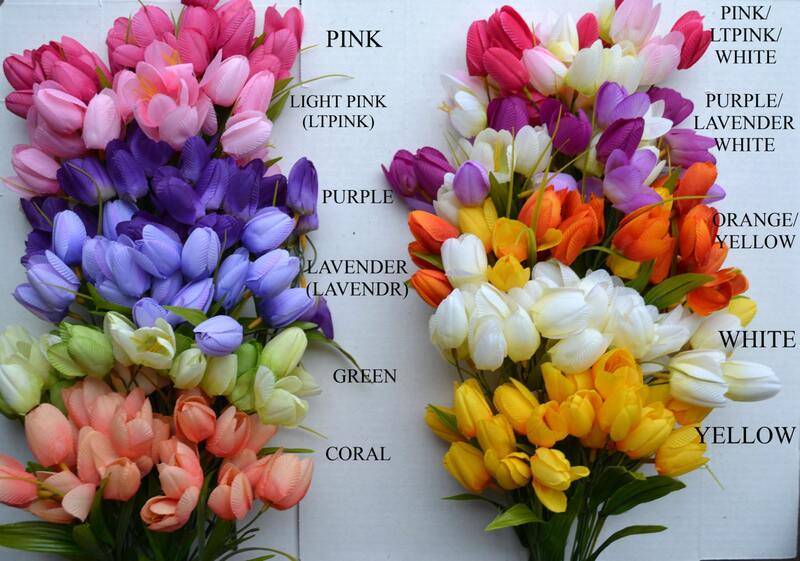 See my tulip section picture or my tulip shop section for example combination pictures. A wonderful gift for that special woman in your life! A complimentary gift message can be included in your order. Include your note in the comments section at checkout. 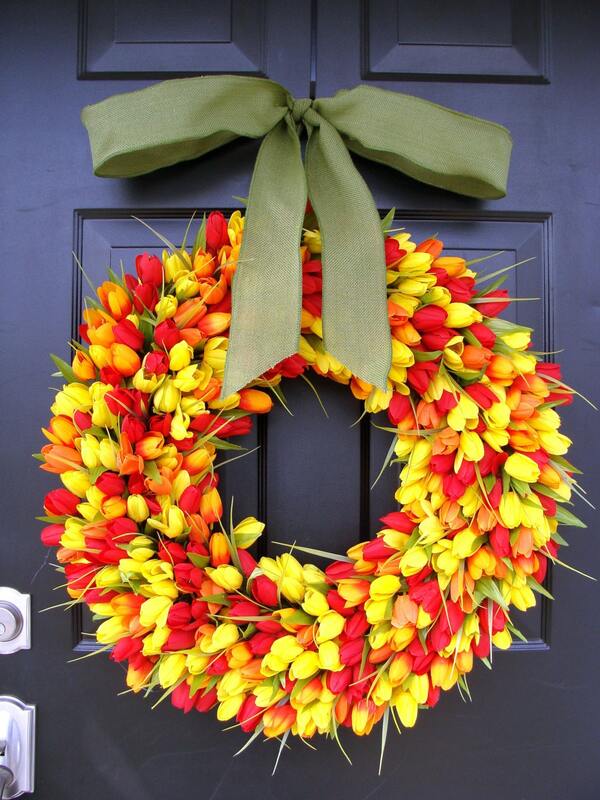 **Larger 20-24 inch wreaths are pictured! The diameter of a wreath is measured from the edge of one side of the wreath across to the other side. We recommend that you physically measure your space to determine the best size to order. 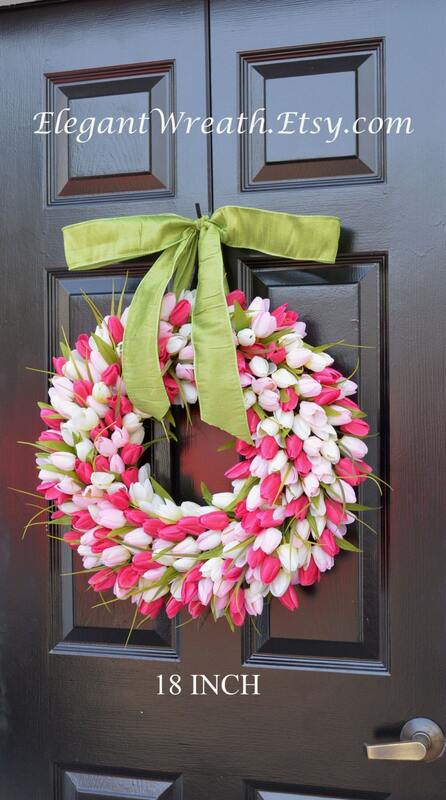 The color combination of the wreath pictured is pink/ light pink /white with green satin ribbon. 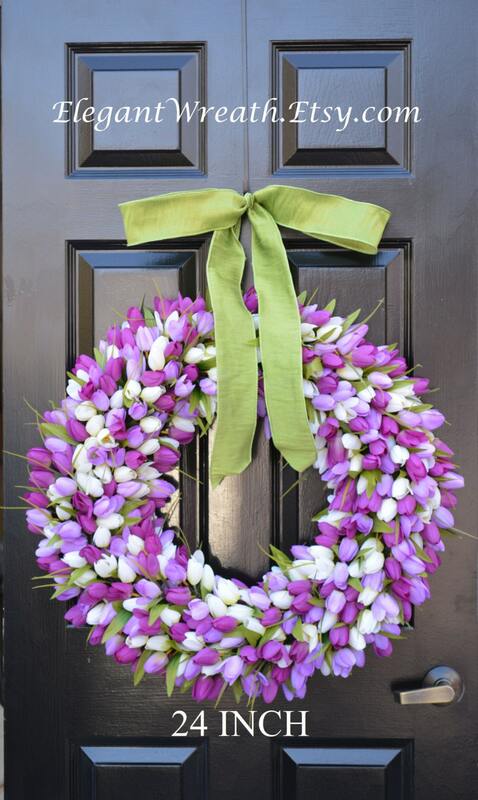 A purple/lavender/ white tulip wreath with green satin ribbon is also pictured. Customize your wreath by following the steps below. beautiful and I've received lots of compliments!!! It arrived promptly and is absolutely beautiful.